When a director is as prolific as David Cronenberg is as of late, it is not uncommon to end up interviewing them more than once in the same year for different projects. I had spoken with Cronenberg earlier this year when A DANGEROUS METHOD had its Canadian release and with this week’s release of COSMOPOLIS, I found myself face to face with the icon for the second time in six months. Somehow I had completely forgotten that the man is way more amusing than I would ever expect him to be. 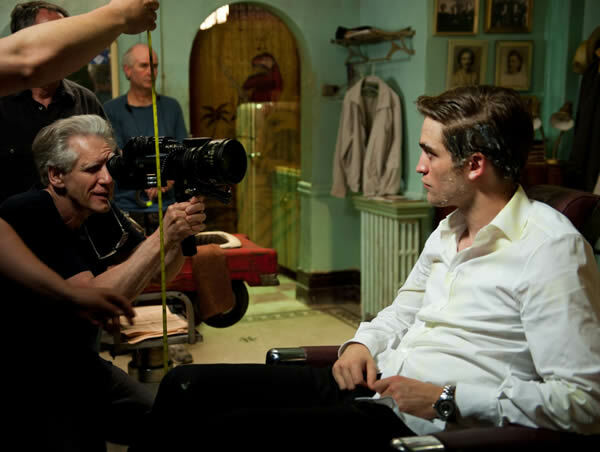 “I used a little Apple program called iDirector,” Cronenberg announces of his COSMOPOLIS process. “A little green light goes on if its ok and a red light if you need another take.” See what I mean? The man is hilarious. 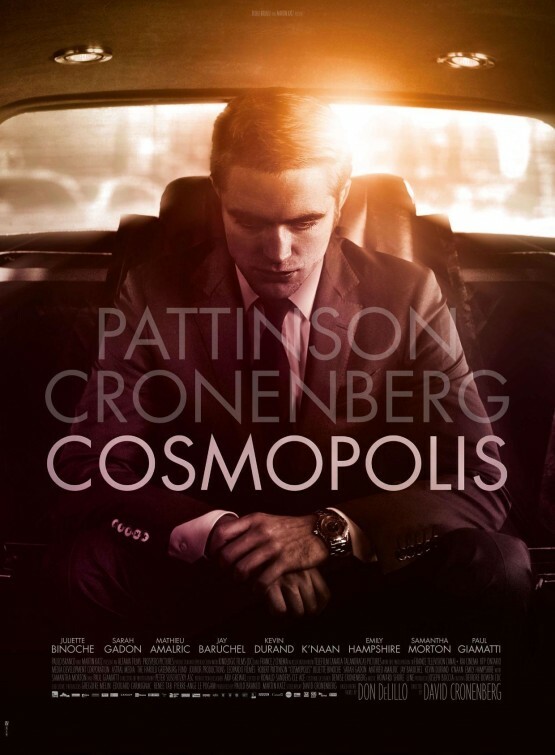 There is nothing funny about the premise of COSMOPOLIS though. Based on the 2003 Don DeLillo novel of the same name, Cronenberg’s 20th feature film recounts protagonist, Eric Packer’s day long quest to get across Manhattan for a haircut from his regular barber. It sounds silly on the surface but it is set against the backdrop of the collapse of capitalism, making the film both timely and incredibly tense. Pattinson was not originally supposed to play Packer, a tycoon loathed the world over for simply being rich and good at it. The role was first given to Colin Farrell but when he dropped out due to scheduling conflicts, Cronenberg rewrote the script for a younger actor (which is more authentic to the book anyway) and immediately thought of Pattinson. The last minute casting change did not leave much time for Pattinson to prepare though. Pattinson kicking back and letting Cronenberg steal the show at the Toronto press conference. While typical fare for Cronenberg, COSMOPOLIS is not what your average Twihard (that is what they call themselves, right?) would ordinarily see. Pattinson still thinks they will like it though. “I like this script the same way I liked the TWILIGHT scripts. I’m not a post-modernist scholar,” Pattinson begins to explain but at this point, Cronenberg cuts him off. “Your agent said you were,” he says, dryly and without missing a beat. Suddenly everyone is laughing again and the interview is over. With chemistry like that, who knows? Maybe Pattinson will be the new Mortensen. Interesting. I started disliking Pattinson but now I’m really curious to see this movie, I heard good things about it and his acting. His acting is cold and calculated here but that’s what the film demands. It’s older school Cronenberg style. Thanks so much for this article. I am super amped about the Cronenberg-Delillo partnership and I must admit, Pattinson seems perfect for the role of Eric Packer. I cannot wait for this film to be released in the States.